SATURDAY, September 8th 2018: 16th CUSTOM CHROME EUROPE Ride-In-Bike-Show Faak 2018 - plus another CCE Bike Premiere in Faak! 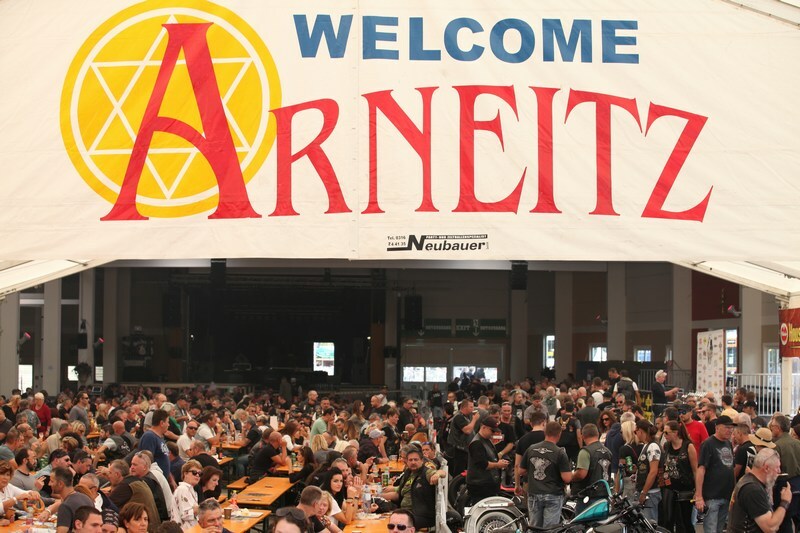 21 years European Bike Week in Faak – but will it become quieter? We don't think so! And we are working on it! For the 16th time Custom Chrome Europe also will present its renowned Ride-In Bikeshow at the Arneitz Custom Show and invites Europe's best Customizers to present their new custom creations. Established from the start in 2003, the Custom Chrome Europe Ride-In-Bike Show can be ranged among the top bike shows around the globe – and the 2018 event will offer a showcase for professional and private customizers alike. Their bikes will grace the pages of international custombike magazines for weeks to come – and many of the previous winners could also be seen at the Custom Gallery at Harley-Davidson's 115th European Anniversary in Prague/CZ. 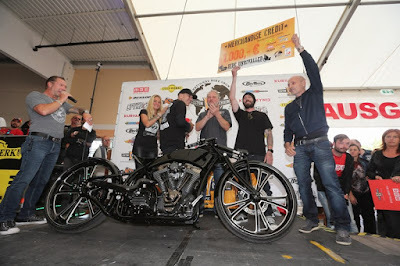 Again, trophies and other prizes given by CCE will exceed € 5.000,--, granting that the Custom Chrome Europe Ride-In-Bikeshow at Lake Faak is the bike show with the highest prize money – and not just at European Bike Week! As in previous years, Custom Chrome Europe has invited Bike Show competitors, judges, sponsors and winners_– as well as the international custom press – for attending the show which will attract the latest and best custombikes of the event. Every participant is welcome, the bikes will be judged by a highly specialised 10+ jury, selected from press members and custombike-specialists. The Custom Chrome International Bike Show Series classes are: Championship, Modified Harley, Jammer Old School, RevTech-Performance, Chopper, Bagger and Sportster-Engine. The entry for the bike show will open „high noon“ on Saturday after the parade, judgement will start at 3.30 p.m. and around 5.00 p.m. trophies will be handed out. The term „Ride-In“ has to be taken literally: Only bikes are allowed that are ridden into the event area: Participation will be international and the winners may be international as well. They always were in the past 15 years! Even if you don’t make the trophy ranks, the international custom-press will be there on the hunt for the hottest custombikes to be featured in their magazines! As in previous years, the team of Motor Bike Expo Verona will pick two bikes to be invited for their upcoming 2019 event. Full throttle is the rule rather than the exception for customparts market leader CUSTOM CHROME EUROPE at the European Bike Week! 2018 Custom Chrome Europe will bring their already rolling four „Ride Unrivalled“ Bikes to Faak – among them the first "Milwaukee-Eight" Softail Custombike – and already announced another BIKE PREMIERE during the Arneitz Custom Show. And as usual, you can always expect surprises. As every year, the CCE Management will be out in force: Andreas Scholz, Managing Director, Axel Scherer, Marketing Manager and CCE Sales Team representatives. 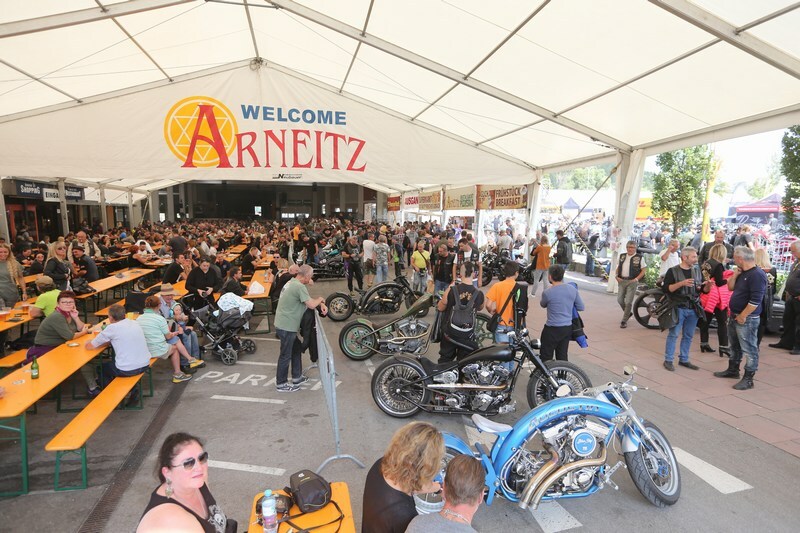 Other CCE-partners and shops will attend the Arneitz Custom Show with separate displays. Premiering at European Bike Week 2017, „Balance“ will certainly be one of the most radical bikes built in Germany this year! The „making of“ this Boardtrack style beauty, featuring all handcrafted pneumatical suspended front and rear, the built of the rolling chassis is documented on the MIB website. The Feldkirchen (near Munich) based shop has already made itself a name for radical custom creations, but „Balance“ tops them all. A super-radical concept frame, the bike is – as the images proof – ridable on the road – and features numerous technical and electronic details which are hidden under the sparse bodywork. 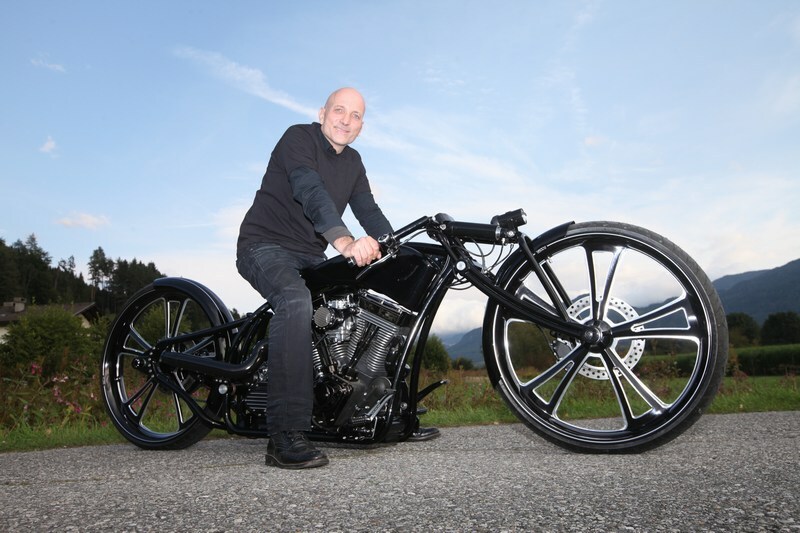 A relative newcomer to the German market, Augustin motorcycles of Burgkirchen (near the Austrian/German border) has developed a radical frame concept and went through a costly TÜV-approval procedure to realize some of the most radical German concept bikes since the „Dragstyle“ design hit the road almost two decades ago. Available in steel version, this one-off „Over the Top“ is a carbon made experimental, created by Thomas Augustin, son of Friedrich „Fritz“ Augustin. The 125 RevTech engine was the brutal choice for this bike, no other than Stefan Datzer, husband of Dragrace Lady „Catwoman“ Annemarie is their specialist for engine preparation. Weiter mit Vollgas! Samstag, 8. September 2018: 16. 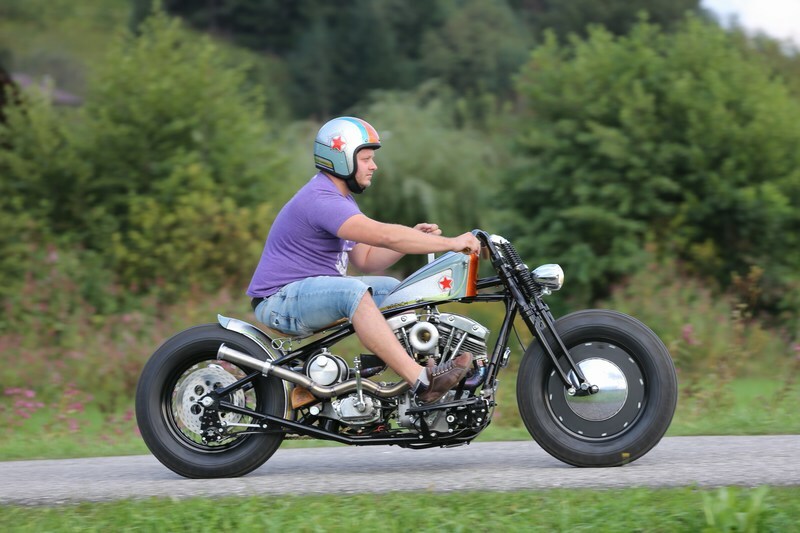 Custom Chrome Europe Ride-In-Bikeshow Faak und 21 Jahre Faak! Wird es im 21. 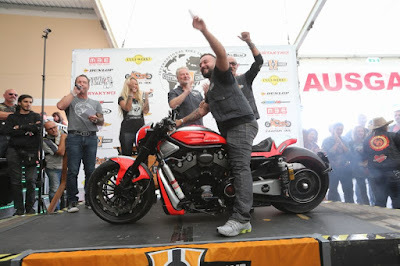 Jahr der European Bike Week eher ruhiger in Faak? Kaum wahrscheinlich! Faak ist noch immer die Biker-Party am Ende der Saison – und ein Event der bei allen Wechseln auch viele Konstanten hat. Eine dieser Konstanten: Die Custom Chrome Europe Bikeshow auf dem Arneitz-Gelände. Auch 2018 präsentiert am Samstag des Mega-Events CCE seine mittlerweile 16. Ride-In Bikeshow auf der Arneitz Custom Show und lädt erneut die besten Customizer Europas zum Wettstreit. 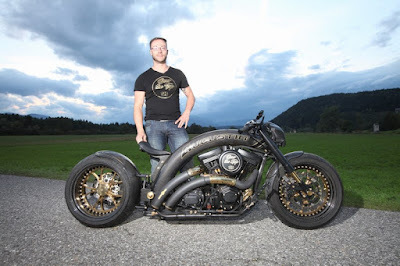 Die seit Jahren etablierte Custom Chrome Europe Ride-In-Bikeshow am Faaker See in Österreich ist eine der Top-Bikeshows rund um den Globus – und der speziell für Faak zugeschnittene Event bietet professionellen und privaten Customizern ein Schaufenster für ihre Kreationen, die im Laufe der darauffolgenden Monate in Custombike-Zeitschriften weltweit gezeigt werden. Wie in den vergangenen Jahren, schüttet CCE Pokale und Warengutscheine im Wert von über 5.000,-- Euro aus – das macht die Custom Chrome Europe Ride-In-Bikeshow am Faaker See auch 2018 zur Show mit den höchsten Preisgeldern – nicht nur in Faak! Was im Jahr 2003 auf der "grünen Wiese" in dem damaligen Custom Chrome Europe Village auf dem Arneitz-Gelände begann, hat schon lange einen festen Platz im Terminplan der European Bike Week: In der 2012 eröffneten Arneitz-Eventhalle, welche den Aktionen auf der verbreiterten „Arneitz-100 Showmeile“ einen hervorragenden Rahmen gibt, werden 2018 die Top-Bikes aus ganz Europa präsentiert. Die voll überdachte „Show-Meile“ an der Hauptstraße der Arneitz-Custom-Show ist wettergeschützt und zugänglich für alle Besucher. 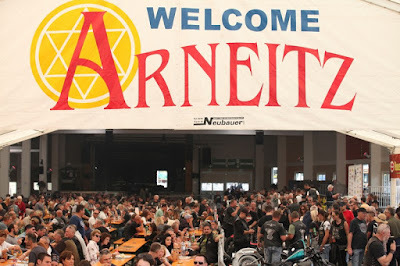 Die „Arneitz-Custom-Show“ übertraf auch 2017 alle Erwartungen und vom 1. bis 9. September werden hier mit Bike- und Customizer-Präsentationen die Custom-Weltneuheiten für Europa präsentiert – die dazu gehörende Bikeshow von Custom Chrome Europe ist seit über 15 Jahren ein definitives Highlight der European Bike Week in Faak. Hier kann jedermann teilnehmen - und die Bikes werden von einer Fachjury bewertet, die ihr Handwerk versteht: Details zu den Klassen und Preisen werden ab August im Internet zu finden sein und bleiben wie 2017: www.custom-chrome-europe.com und www.arneitzcustomshow.de. Das Team der Motor Bike Expo Verona wird, wie in den vergangenen Jahren, zwei Teilnehmer zu ihrem Event im Januar einladen. Hinfahren – einchecken – gewinnen, bei der CCE Ride-In-Bikeshow geht alles schnell, und bis 18.00 Uhr ist auch die Pokalverleihung meist schon Geschichte. Einlass der Bikes ist am Samstag „High Noon“ nach der Parade, ab 15.30 Uhr wird gewertet, und gegen 17.00 Uhr rollen die Sieger auf die Bühne und holen sich wertvolle Pokale, Urkunden und Preise ab. Das „Rollen“ darf man auch in diesem Jahr wörtlich nehmen: Als echte Ride-In-Bikeshow MÜSSEN die Kreationen aus eigener Kraft aufs Gelände fahren. Die Teilnahme ist international, und die Gewinner können aus jedem Land der Erde kommen. Dabeisein ist alles – denn die internationale Custombike-Presse wird auf der Jagd nach den besten Custombikes sein, um sie für ihre Seiten abzulichten. Die Klassen der Custom Chrome International Bike Show Series in Faak sind: Championship, Modified Harley, Jammer Old School, RevTech-Performance, Chopper, Bagger und Sportster-Engine. Aus der diesjährigen Customizing Saison geht Customparts-Marktführer CUSTOM CHROME EUROPE mit Vollgas in die European Bike Week am Faaker See. 2018 präsentiert CCE seine vier bereits bekannten „Bolt On and Ride“ Bikes – und hat die Premiere eines fünften Bikes am Faaker See angekündigt! Auf dem CCE Stand werden neue Kuryakyn Teile präsentiert und ein prominenter Vertreter des US-Zubehörherstellers wird vor Ort sein, Mit weiteren Überraschungen darf wie immer gerechnet werden, die Details des CCE Auftritts in Faak sind in Arbeit.